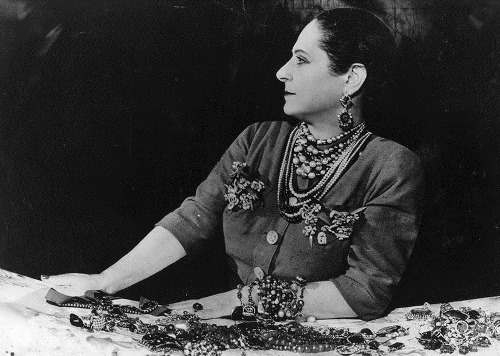 Helena Rubinstein was the famous entrepreneur, founder of the cosmetics line and chain stores in the US, France and the UK. In 1950, she was one of the richest women in the world. She had no money, no education, and no one to help her. All she had were 12 jars of face cream and a lot of energy and ambition. She turned these into a cosmetics empire. Helena (her real name was Chaja Rubinstein) was born on December 25, 1872 in Krakow. She was the oldest of eight girls. Helena’s father wanted her to be a doctor. But she hated medicine and left school. Then he wanted her to get married, but she refused. In 1902, she went to Australia, to live with a cousin and an uncle. Helena didn’t speak English, had no money and no plans. She had beautiful skin and told some of the women about the face cream.